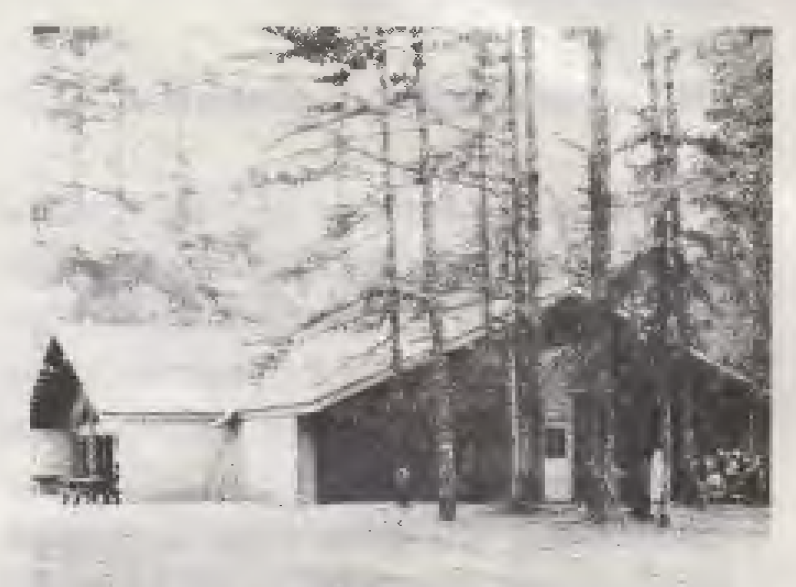 Once Multnomah Outdoor Education moved into an entirely "Resolution" financed agenda, the task was then to expand staff, facilities, supply and sites to accommodate increasing numbers. A successful format had been established and full participation of all 6th grader students was the goal. In the 68/69 school year one third, or approximately 3, 000 Multnomah County 6th graders, attended, plus 1,500 contract students. 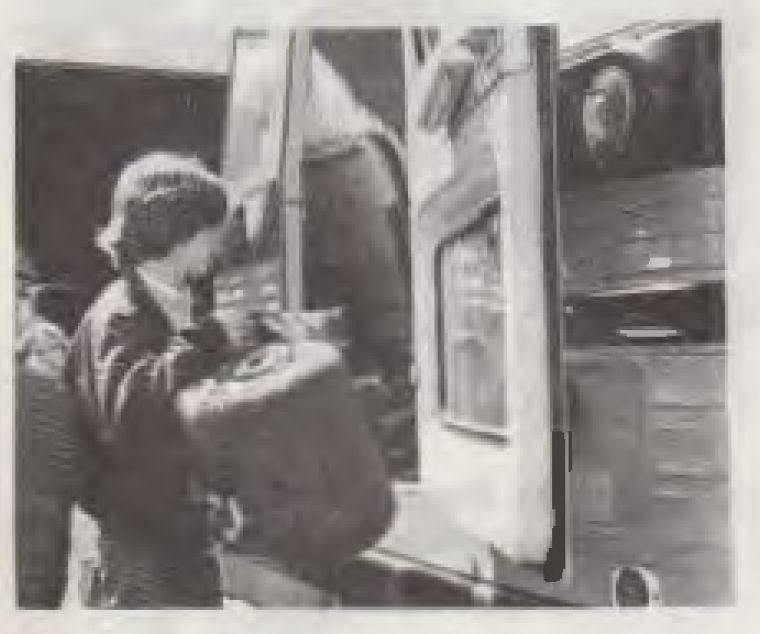 In 69/70, with the decision to accommodate 2/3 of Multnomah 6th graders, the contract service was dropped and plans expanded to receive 6,000 students at Outdoor School. In 1970/71 expansion continued to accommodate every sixth grade class in the county. By this time, however, the county 6th grade population had somewhat declined and only 8, 000 students were available. By now five outdoor school sites were leased each fall and spring, each running for 6 or 7 weeks, twice a year, depending on available classes. Always conscious of the need for improving the living and teaching facilities at Outdoor School, all the youth camps within a 50 mile radius were constantly reviewed and priority given to their adaptability to the Outdoor School format. Many, seeing the mutual advantage in improving facilities to accommodate both their camping programs and the opportunities for Outdoor School leasing, did much to add to and rebuild their camps. This has been a great advantage to Outdoor School. The ability to lease camps rather than undertake the tremendous cost of buying land and developing sites has proven to be a vastly superior direction. ​In this current school year another Outdoor School site, Nate Creek Camp, was added in the fall and now Camp Collins brings the total to six. By May 28 every sixth grade student in the 14 school districts in Multnomah County will have had the opportunity to attend a week at Outdoor School with his class and teacher. That Multnomah County Outdoor Education (nee Regional) is one of the few Outdoor Education programs that has survived the end of E.S.E.A. financing, is a tribute to the quality of the program and the hard work and dedication of the Multnomah County staff. Superintendent Thomas J. Sommerville's leadership of the I.E.D. since July, 1969, has been instrumental in strengthening the position of Outdoor Education as a viable education method. High on the list of commendations too, are the 14 school districts, their parents, teachers, administrators, and school board members, who have allowed the continuation and expansion of the program. In the last analysis this is the truest evaluation. ''Mr. Gil" as he is known at Outdoor School, grew up in Seattle, Washington, but backpacked the trails of the Cascades and Olympics as a "country" kid during his youth. After service with the Army Air Corps during World War II he graduated from Washington State University in Wildlife Management, and worked for a time with both Washington and California Game Departments. Coming to Portland in 1953 he worked professionally as a District Scout Executive in the Portland Area Council, and directed their Conservation program. In 1958 Gil was named Director of Camping for. the Scout Council and administered their five summer and six weekend camps. 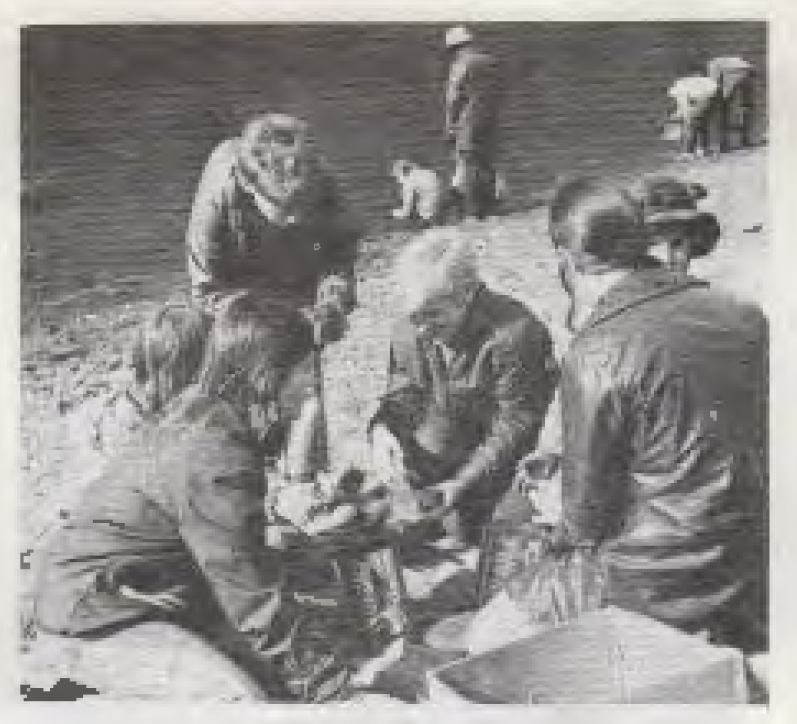 In 1963 he left Scouting to become information-education officer for the Oregon Fish Commission and engaged in conservation teaching in schools as a part of his responsibilities. In 1966 Gilfillan was appointed Director of Outdoor Education for the Regional Outdoor Education project, a Title III, E.S.E.A. program, for which the Multnomah County Intermediate Education District was fiscal agent. He remained as Director of the Multnomah Outdoor Education program when the I.ED. assumed full sponsorship in the summer of 1968, after Federal money ended. Gilfillan received his M.S. in Recreation from the University of Oregon in December 1969. Bob Burgess, an Oregonian since age six, graduated from the University of Oregon in education and taught sixth grade in his home town of Eugene for eight years. During that time he took his class to an experimental Outdoor School at Camp Silver Creek in 1964. 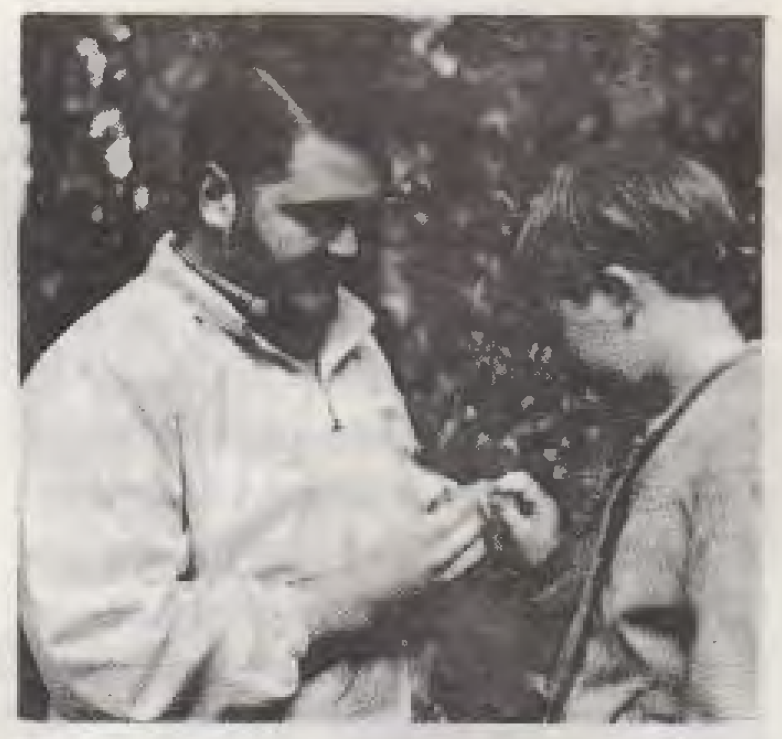 In 1965 he directed an Outdoor School for two elementary schools in Eugene and was "bitten by the bug." 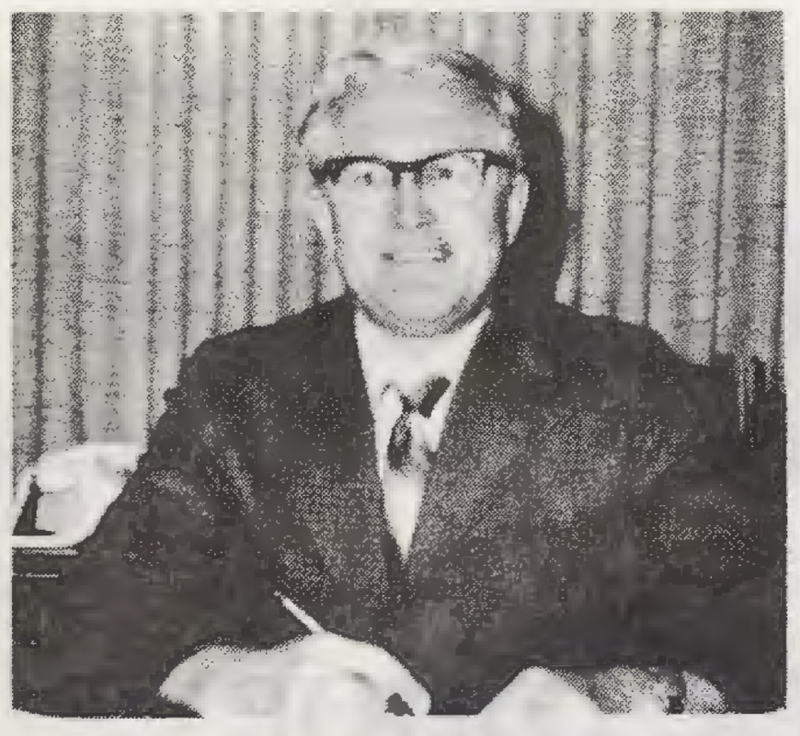 In the spring of 1966 he was appointed as Instructional Assistant to the emerging Regional Outdoor Education program. ​''Mr. Bob," now Coordinator of Instruction for Multnomah Outdoor Education divides his time between Outdoor School curriculum and the recruitment and training of the 1 ,000 plus Junior Counselors needed each year. 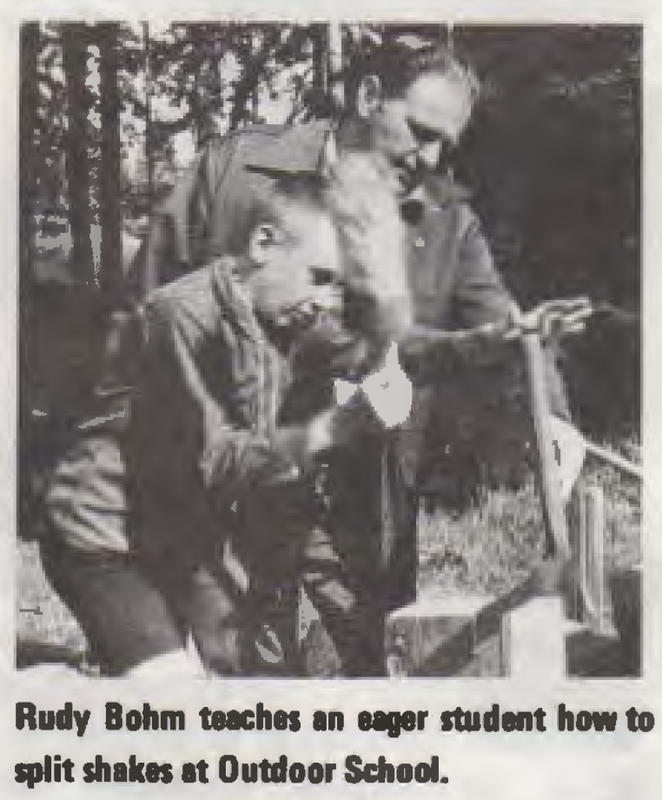 Rudolph Bohm, Jr., is hardly known by his true name - but rather as "Digger," his Outdoor School moniker. Digger has an extraordinary background in the natural sciences, both from his college training and from his extensive work in teaching teachers and children in the out-of-doors. As a very competent Oregon historian he combines his natural and historical talents for a unique ''Social Science Approach" to the teaching of Natural Resource Conservation. 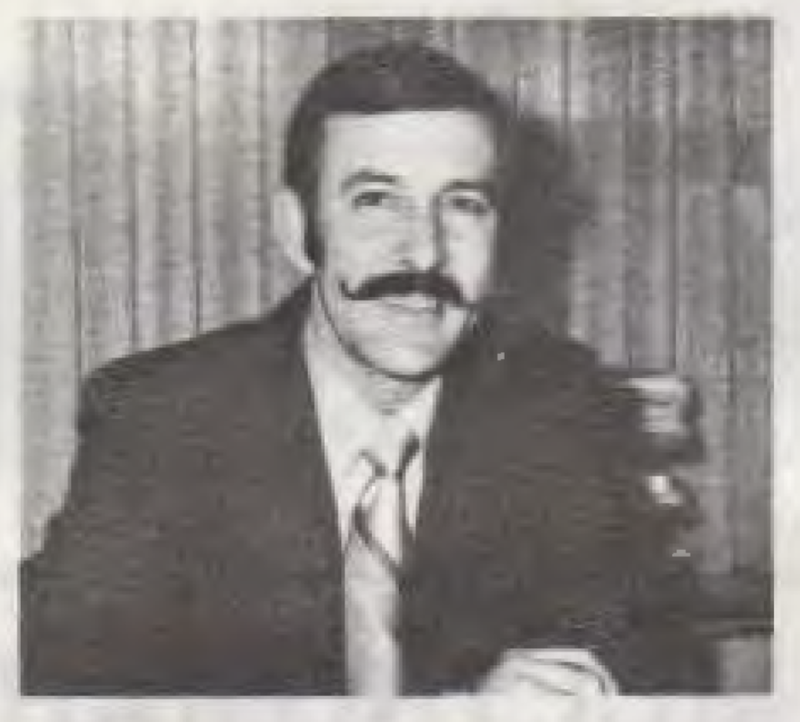 Bohm was a Senior Counselor with the Outdoor School during its first session in the spring of 1966 and has been an enthusiastic staff member in every session since. He became a 9-month contracted "Nature Specialist" with Multnomah Outdoor Education in the 1969-70 school year. Digger is a naturalist's naturalist. Martin Kuns, or ''Mr. Spike" at Outdoor School, discussing a developing leaf bud with a curious sixth grader at Collins Outdoor School. Kuns has been an enthusiastic staff member at Outdoor School since the fall of 1966 when he was first hired as a Senior Counselor. Since then he has been a Resource Specialist in Animal Life (Spike is a wildlife student from Oregon State University) and a Site Supervisor at the Trout Creek, Colton and Collins Outdoor School sites. Kuns now carries the title of Outdoor Education Specialist and is a 9-month contracted employee with the Multnomah County Intermediate Education District program. ​To truly evaluate Outdoor School we must look at the experience as seen through the eyes of a Junior Counselor. These juniors and seniors in high school volunteer for this experience with sixth grade students and must have the approval of their teachers, counselors, and parents to take part in the program. After initial selection through the various metro high schools, they attend two training sessions in town and spend one weekend in preparation for their counseling experience. They soon learn that Outdoor School is not a week of being "sprung" from school, but hard, serious work. During the week they are in residence at an Outdoor School site they assume the responsibility for a cabin group of boys or girls, each an exciting individual. They also have an opportunity to help sixth graders learn about natural resources and conservation by becoming members of a teaching team. As they are not experienced teachers, they learn they must rely on their unique abilities to communicate with sixth graders in an enthusiastic manner. During this current school year approximately 1500 of these outstanding young people are being involved as Junior Counselors. This experience is unique in their high school career and constitutes their finest opportunity to learn self reliance, responsibility, leadership, and character training. It is interesting to note that this year many of the Junior Counselors are students who participated in the program as sixth graders. That Junior Counselors are such a vital part of the program has prompted a staff member to remark, ''We have never had a bad week of Outdoor School with good Junior Counselors and never a good week with poor ones." These high school students are, for the most part, a truly dedicated group of young people. The only reward they get for this very unique experience is when, at the end of a week, a sixth grade boy or girl says or thinks, "When I get into high school, I want to be just like my Junior Counselor." Camp Collins is the newest site of the six now needed to handle the nearly 9,000 Multnomah County sixth graders attending Outdoor School annually. Collins, owned by the Portland Y.M.C.A. lies on 120 acres of heavily forested land on a big bend of the Sandy River east of Gresham. Oxbow Park, next door, with its 1 ,000 acres of similarly forested land, helps make this area an ideal location for the nature study presented at Outdoor School. Collins has been recently endowed with a spacious new dining hall, mainly through funds supplied from the Collins family foundation—long time supporters and originators of the camp. Recently completed are new staff and teacher quarters in the old lodge, along with a separate, modern lavatory building for staff. Student cabins are completely insulated and equipped with fan blown electric heaters, hardly a place for roughing it! With its excellent location and renewed facilities, Collins Outdoor School site is one of the best. How does one go about transporting over 125 high-school-age Junior Counselors and all their personal belongings to six different Outdoor School sites weekly? With the growth of Multnomah Outdoor Education a new problem had developed. While the program was still growing, Junior Counselors were transported in the cars of Outdoor School staff members, each of whom had to hold expensive and high-liability insurance coverage. Mileage reimbursement was made to them. The coordination of pickup points and times was a monumental job, however, and the additional hours a drain on much-needed staff free time on weekends. This school year it was decided a more feasible and economical system was needed. The answer was to contract with a commercial transportation company and to establish routes throughout Multnomah County to serve the most counselors. Now, three buses pickup students at 12 high schools in Multnomah County and rendezvous at the Multnomah County I.E.D. parking lot. There, on Sunday afternoons, there is a dramatic "reshuffling" of high schoolers as they load and board one of four buses assigned their Outdoor School site. 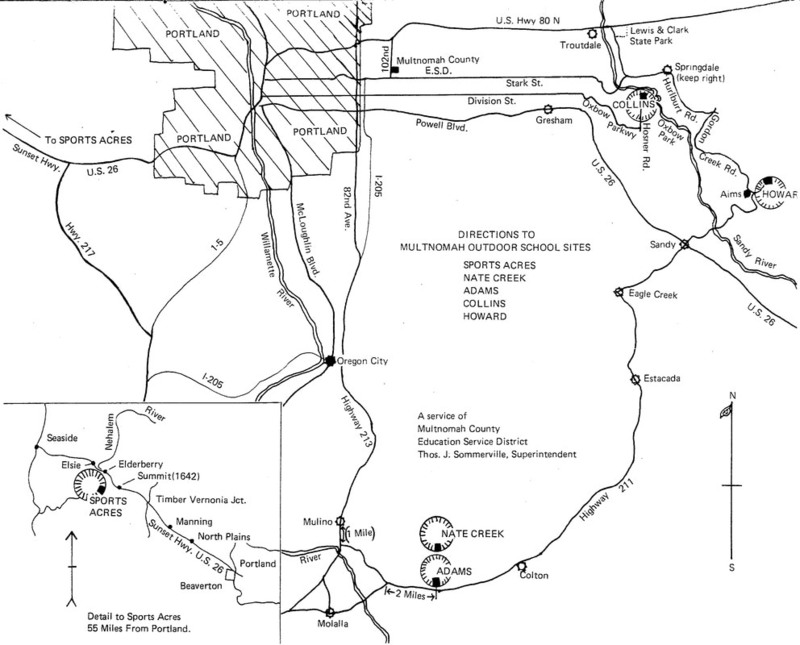 One bus each goes to Canby Grove and Colton Outdoor Schools, while the "in-line" camps of Collins - Trout Creek and Adams - Nate Creek each require a bus. On Friday afternoon a similar frantic scene is enacted, only in reverse. The new transportation program provides a potentially safer service and assures prompt arrival at the Outdoor School site in time for vital training of counselors. As the Multnomah Outdoor Education matures, many such positive steps are taken to provide better service for participants and their school districts. The School Bus Service Company of Gresham was the successful bidder for the busing contract. Multnomah Outdoor Education also developed two other adjuncts to environmental learning. During the mid-1970's, the Youth Conservation Corps was federally financed to provide summertime, outdoor, work-experience for America's teen-age youth. Multnomah Outdoor Education, with its reservoir of trained, outdoor instructors, embraced the program and conducted seven YCC summer programs for the Bureau of land Management and the US Forest Service. Because a high percentage of the Youth Conservation Corps experience was dedicated to environmental learning, the Outdoor School staff was eminently suited to this excellent youth program. Keeping Outdoor School staff in the area was an important advantage to administrators.